Legal Services for Children’s clients are Bay Area children and youth who need to access the legal system to stabilize their lives and achieve their full potential. The vast majority of our clients have experienced significant trauma. We serve clients under 21, recognizing that “childhood” — the stage in life when one should be able to learn from mistakes and be supported by caring adults — does not end at age 18. LSC is representing Tommy, a seven year old mentally ill child who is experiencing severe problems at school. He throws desks, kicks teachers, and is struggling to develop any bonds with classmates. His mother is also severely mentally ill and he was removed from her care at the age of four, soon after his father died. Tommy’s foster mother is an extremely patient, kind, and loving woman who is now concerned she may not be able to meet Tommy’s needs. Tommy’s LSC attorney is working to ensure that his mental health needs are met through a comprehensive assessment and the implementation of wrap-around services to support him at home and at school, as well as services to support his foster mother. Given his history with his parents, grief counseling is a major component of Tommy’s treatment plan. LSC is finding ways to encourage Tommy’s social development and ability to develop bonds with classmates and neighborhood children. Consistent with LSC’s holistic model, his attorney is approaching this case with a trauma-informed lens, so that the root of Tommy’s behavior is addressed in a way that brings him healing. 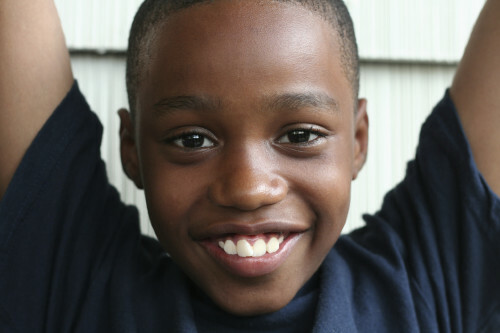 For LSC’s young clients, our help means escape from emotional abuse, violence, or neglect. We open doors to safe, stable, and accepting homes. We advocate for second chances that allow children to stay and succeed in school. And we ensure equitable access to essential public services and benefits that are intended to sustain the most vulnerable members of our community. Rebecca, 17, is an African American teenager from the Bayview neighborhood of San Francisco. She was informed of LSC by Child Protective Services. She was born in Oakland to a mother with a substance abuse disorder; she never knew her mother or her father. Rebecca spent most of her life with her older sister, though recently her sister threw Rebecca out of the house after a violent family dispute. An LSC pro bono attorney helped Rebecca obtain a legal guardianship with her godmother, and her LSC social worker has continued to aid Rebecca in adjusting to her new home. Having found a secure home life, Rebecca is now more active at school, plays basketball, earns good grades, and is headed to San Francisco State University. LSC is proud to have secured Rebecca a safe and stable living situation. *Names and details of our clients’ stories were altered to protect their identities.